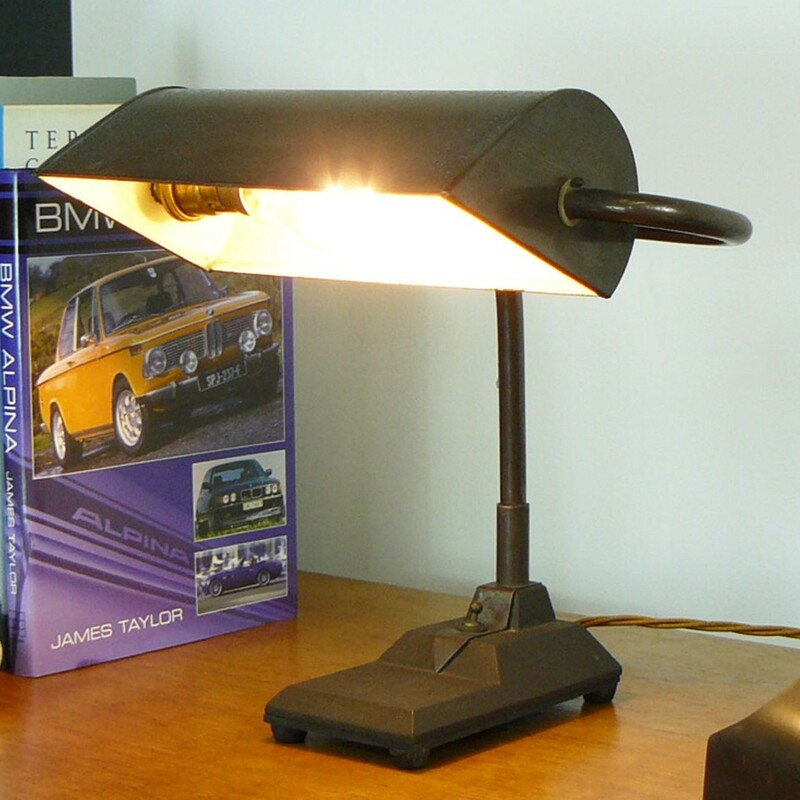 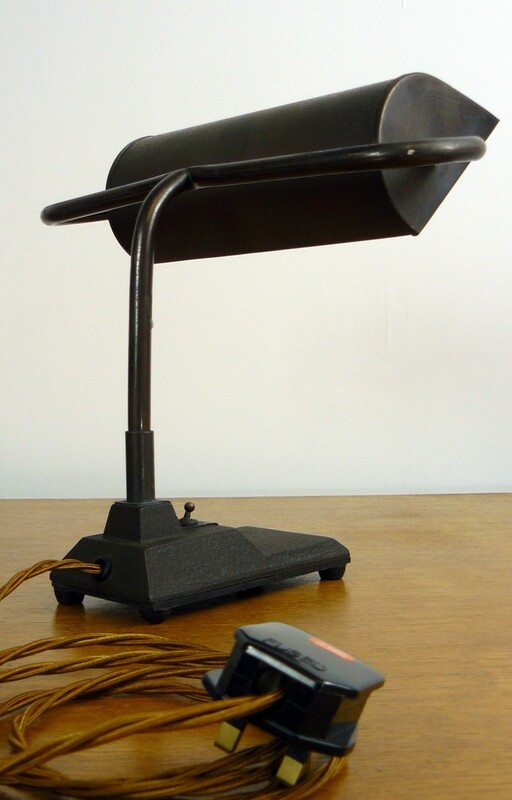 A great looking desk lamp presented in good original condition be it with a PAT Test, new old gold twisted flex and a new black plug. 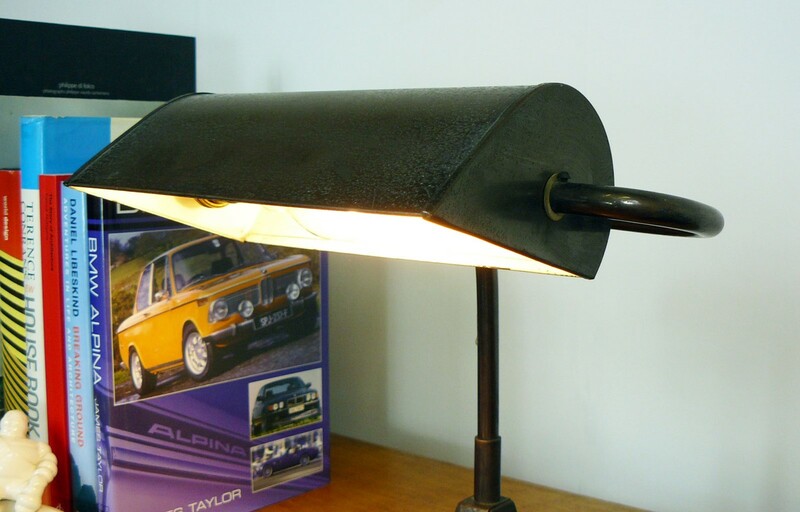 This one possesses a rewarding build-up of age and wear – having missed out on the Brasso or alterations which some can have. 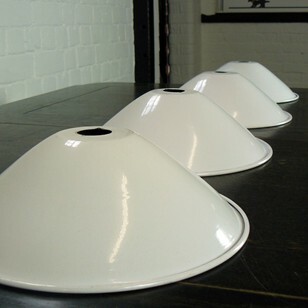 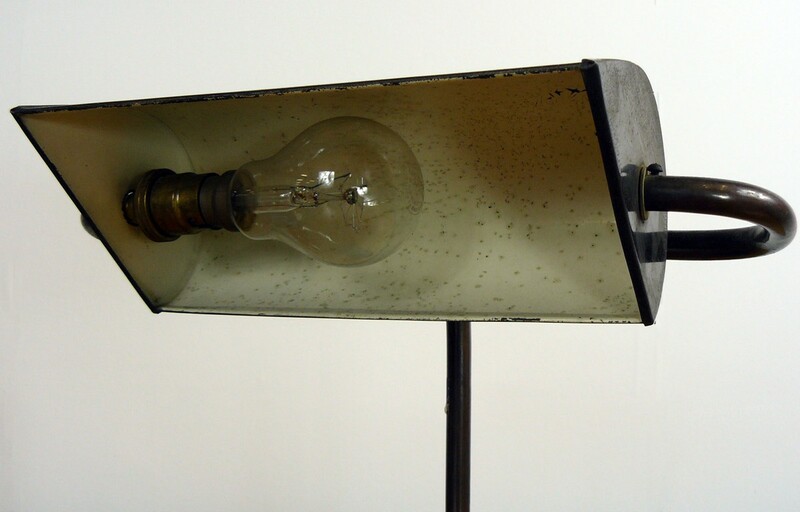 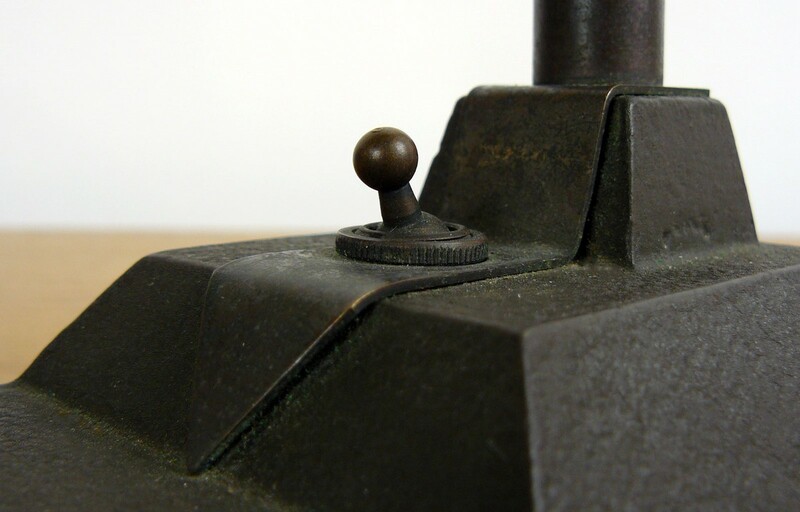 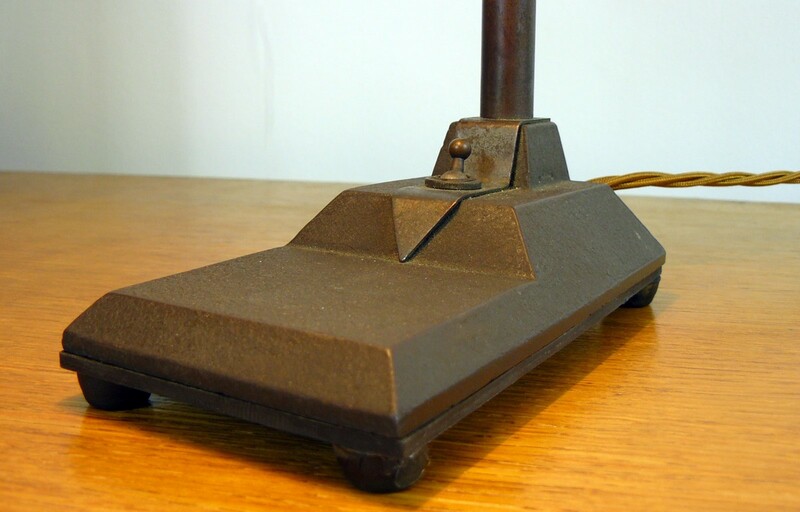 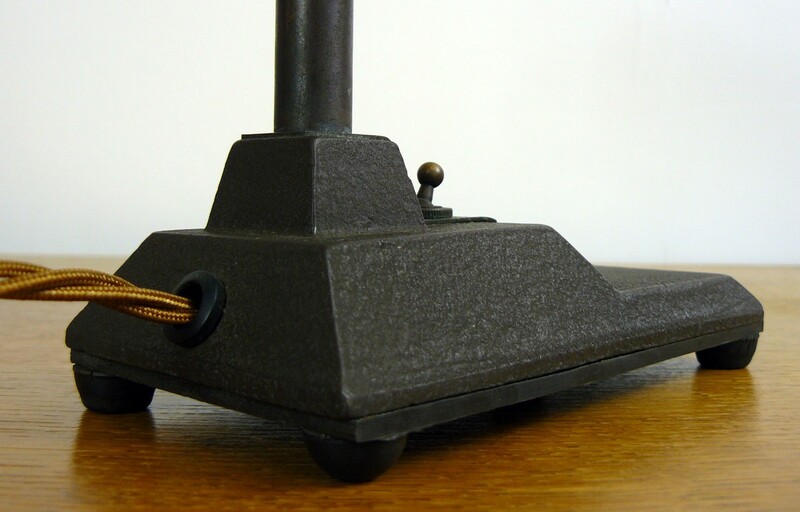 The lamp has its original toggle switch which is mounted in a stepped base, very much of the era. 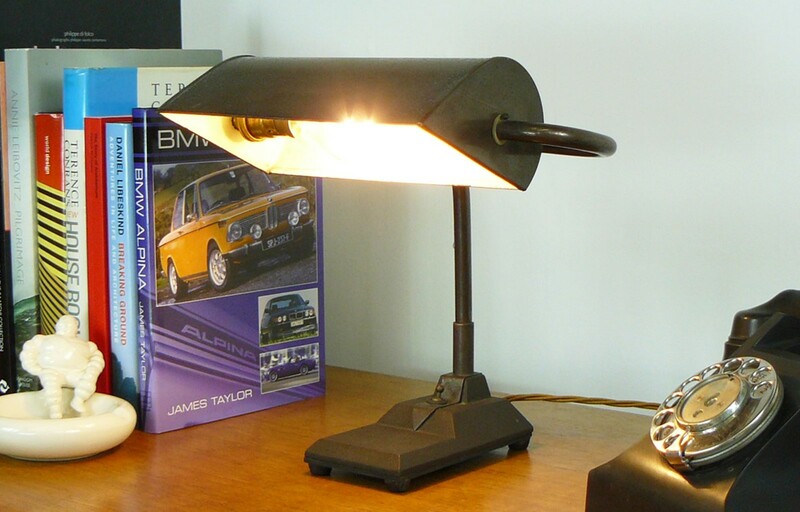 There is also nice aging to the shade with the white paint surviving on its inside. 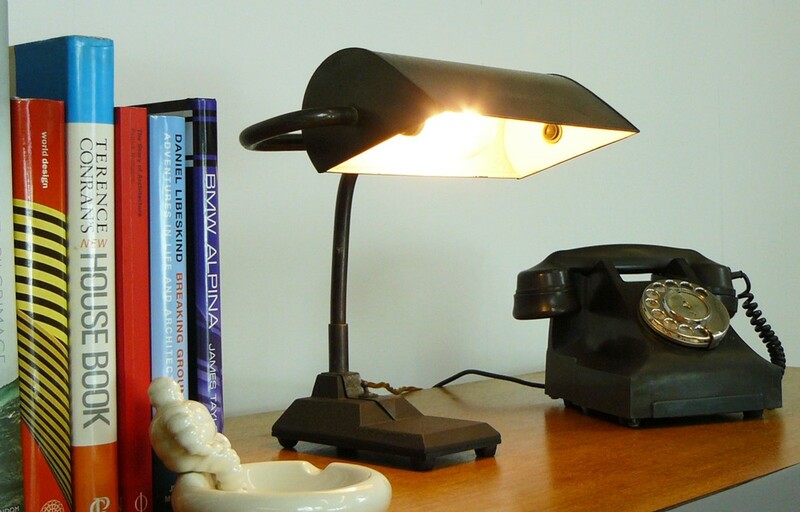 A good-looking bankers lamp which is ready to place and light up.